The new law will allow ten times as many sea lions to be killed in the Columbia River compared to what is currently allowed. Sea lions were once hunted almost to extinction, but the 1972 Marine Mammal Protection Act helped them rebound to around 300,000 today. Thousands swim the lower Columbia River up to Bonneville Dam, hunting spawning sturgeon, lamprey and threatened and endangered salmon. Nearly half of the spring chinook salmon run vanishes before even reaching the dam; biologists think the sea lions are the primary culprit. The Columbia River Inter-Tribal Fish Commission has hazed the federally protected mammals away from the Bonneville fish ladders for years, using noisy shells and non-lethal “seal bombs.” They’re allowed to kill the most persistent fish eaters, but only after going through a lengthy permitting process. 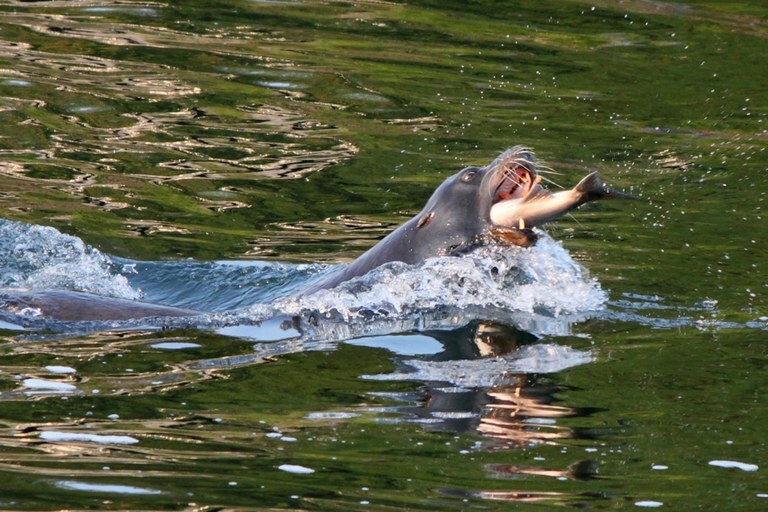 Critics say sea lions are getting the blame for a decline caused by much larger problems, such as dams, habitat loss and invasive fish (“Sea lions feast on Columbia salmon,” HCN, 8/17/2015).